A Tale of Two Invoices: Best Practices for Managing Registrant Financials in netFORUM. When working with event registrations, baseline netFORUM gives us multiple ways of viewing the associated financial details. In a strict financial sense, each registrant is represented by an invoice detail. Even though the invoice details remain the same as we move around the different modules in netFORUM, we are able to get a different perspective on these details based on which profile we work with. 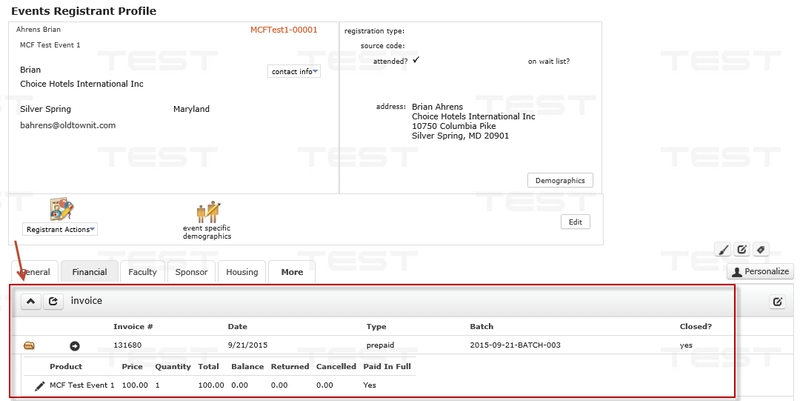 First, the accounting module’s invoice profile will show us many of the relevant details for a registrant. As you can see in the screen shot below, we are able to see the associated line items, the prices, and the balance. Note that there are related profile tabs for both return/cancels and a transaction log. However, an important limitation of the Invoice profile is a reliance on payment. The baseline child forms here will not be able to show you cancelled line items unless there is an associated payment. This may cause confusion if you allow customers to register for your events without payment or if the registration is for $0. An important alternative to the invoice profile, and our second view of the registrant’s details, is the event registrant profile. 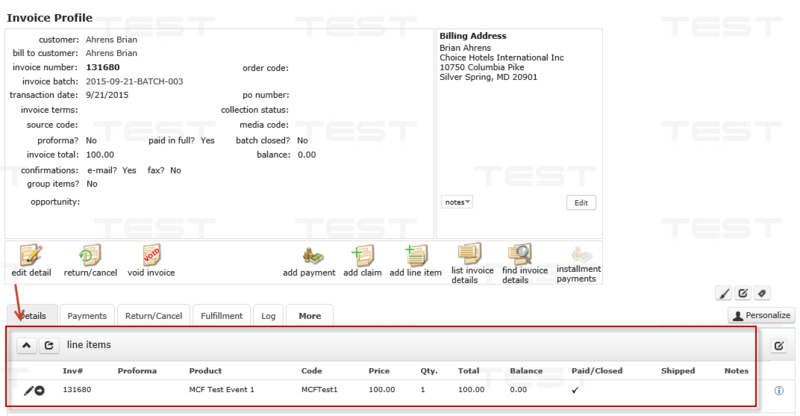 As you can see in the next screen shot, there are several significant details related to the registrant in addition to the invoice details. However, of note on the registrant profile, the invoice child form here does not require payment in order to show you any cancelled line items. As you can see in the previous screen shot, there is a grandchild form that will show you a column for returned, cancelled, and paid in full. If you work with registrations on a regular basis, having this detail on hand, with or without payment, can make managing your customers much easier.